Last week on September 12, 2018 the Doraville Police Department (DPD) issued the NARCAN® (naloxone HCl) nasal spray kits to our first responders. This medication temporarily alleviates the life-threatening effects of an opioid overdose. The kit was purchased at a cost of $2,700 from the city of Doraville’s Confiscated Asset Fund. So far, the DPD has yet utilized the NARCAN in the field. According to Georgia Department of Public Health, Georgia’s Medical Amnesty Law (passed in 2014) protects victims and callers who seek medical assistance due to drug or alcohol overdoses. “The caller and the victim cannot be arrested, charged, or prosecuted for small amounts of drugs, alcohol, or drug paraphernalia if the evidence was obtained as a result of seeking medical assistance,” Georgia Overdose Prevention says. 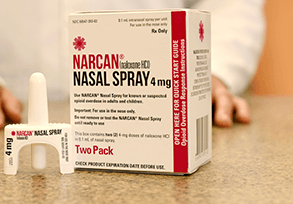 NARCAN, however, does not replace emergency medical care. It is important to notify medical professionals for an immediate help. DeKalb County AMR/Fire also utilize NARCAN.